This experience is perfect for novice kayakers who are ready for a challenge. 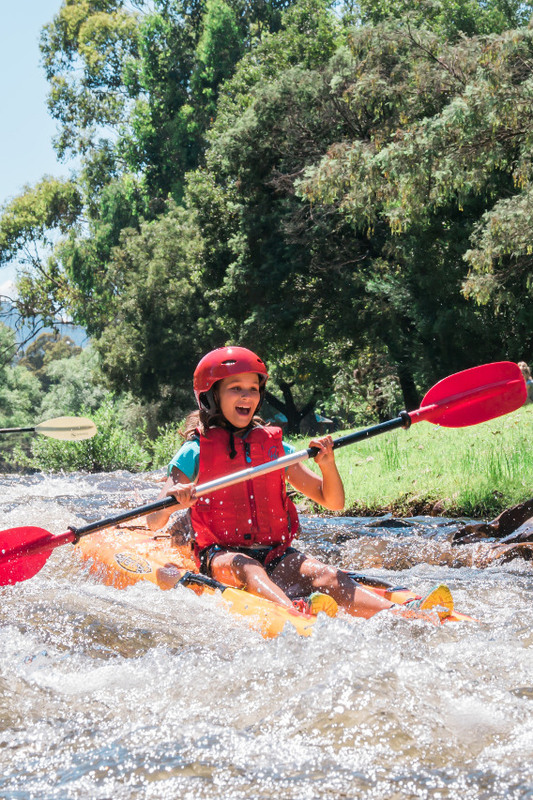 This family friendly activity is guaranteed to create unforgettable memories whilst you paddle the beautiful Ovens River which is a short drive from Porepunkah and Bright. The tour will include whitewater paddling at grades of 1 to 2 depending on water levels. Transport to the start of the kayaking trip provided. Your vehicle will be located at the end of the tour. This tour is a perfect way to see the Ovens River if you have young kids. The tour runs for 2 hours and we will paddle from Bright to Porepunkah taking in some great scenery and wildlife. Participants 10 years and older can paddle a single person sit on top. This tour is suitable for kids who weigh 25kg and above who can also swim. There is always a chance someone can fall out so each participant has to be confident around water and be able to swim. Currently closed, we'll be running hire again over Christmas 2018! Come and try kayaking or SUPing on the calm waters of the Ovens River at Porepunkah. No need to book - we're open 10am to 4pm every day of the school holidays. By appointment outside those hours. Sit on top style self draining kayaks. Runners or water shoes, not thongs (you will get wet). Swimwear such as board shorts, and a rash vest or t-shirt. Your guide will meet you at the start time of your tour at Riverside Park, Porepunkah. Meet your BAC guides at Ashwood Ave, Bright, for transport to the starting point of the tour. You will finish back at your vehicle.